Maximize kitchen storage space in cabinets and pantry! 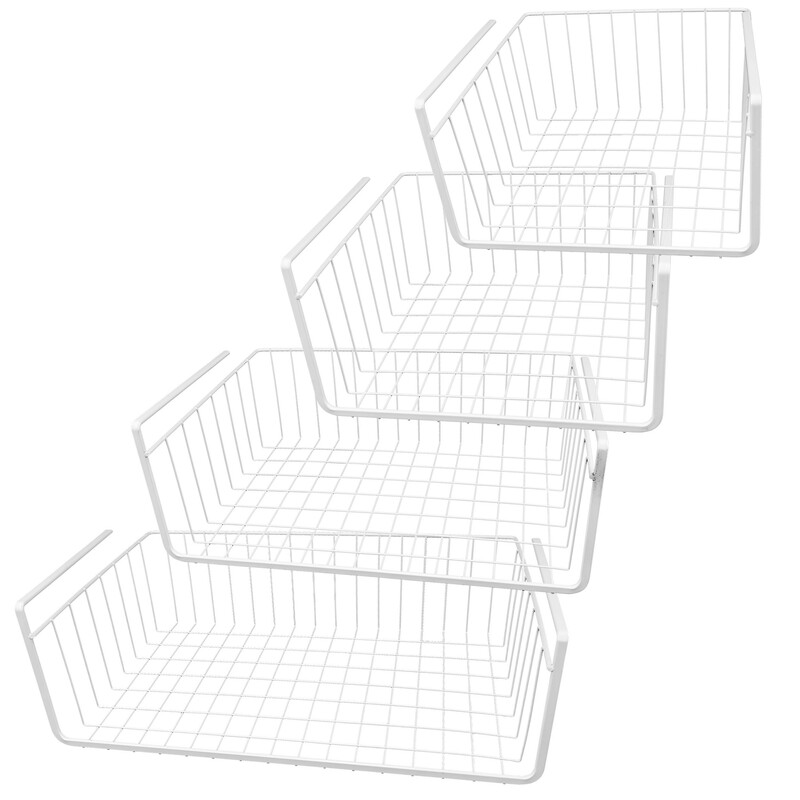 These Southern Homewares sturdy wire under shelf baskets are designed to help increase your storage space. Installation is as easy as sliding the rack on an existing shelf and you are good to go! No drilling, tools, or additional parts needed! These shelves are made of rugged steel with a white coating and are designed to be both durable and aesthetically pleasing. Perfect for holding items such as wax paper, aluminum foil, or anything thing else that may be taking up valuable shelf space. Set contains 4 sized shelves: 1) 10.25" W x 10" L x 4.625" H, 2) 11" W x 10.25" L x 4.625" H, 3) 15" W x 10.25" L x 4.625" H, 4) 16.75" W x 10.25" L x 4.625" H.